SNOW GECKO AUTO CARAPA ZA SNEG,LED,ZA AUTO,JEEP,KOMBI. CENA ZA XXL VELICINU:6990 RSD. JEDNOSTAVNA ZA UGRADNJU(2 MINUTA),NEOSTECUJE FELNU NI SENZORE NA TOCKOVIMA. 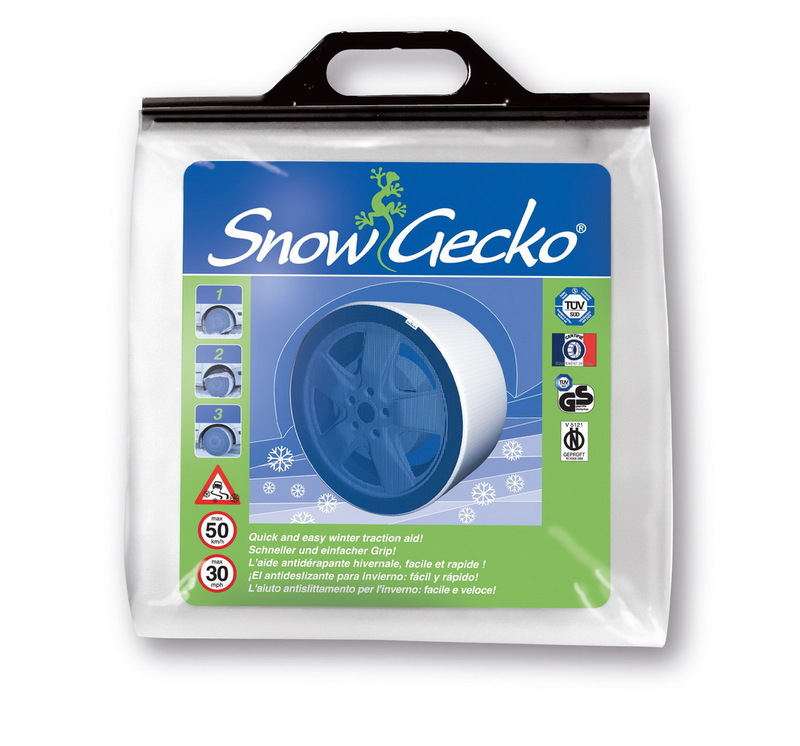 The SnowGecko is a newly developed tire cover, aimed at increasing tire-to-road friction when driving cars on icy or snowy roads. Usable with alloy rims - even when metal chains are not allowed! Improves electronic safety systems (ABS, ESP). Ovo delo je dodato u naš katalog Thursday 15 November, 2018.